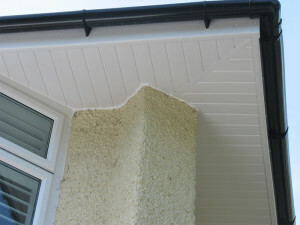 We can supply and fit fascias, soffits, and guttering throughout Lymington, Southampton, Dorset, Bournemouth, New Forest, New Milton and Hampshire. Blue Sky Windows (Hampshire) Ltd supply and fit quality replacement upvc fascias, guttering, downpipes, soffits, barge boards and cladding to your exacting standards in a wide choice of colours and styles to maintain or enhance the appearance of your property. Cladding is also available in a wide range of colours for the New England style to enhance your home.